We haven’t got this set up yet, but I decided a while ago it would be nice if the kids could call grandma and grandma and see them. 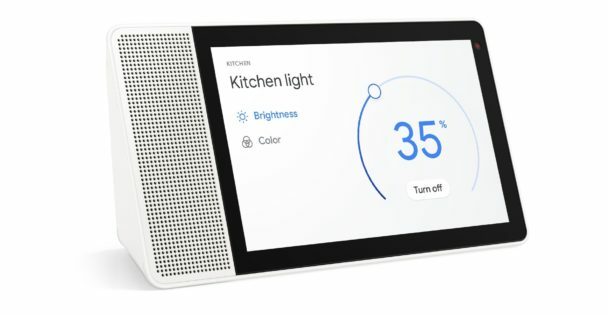 As such we picked up a couple of the 8″ Lenovo Smart Displays with Google Assistant back when they were $99 (they’ll probably be that price again soon enough with Black Friday approaching). I’ve done some testing, including calling grandpa by accident, and it works pretty well. Much better than a kid attempting to show a phone, not on a video call, a missing tooth. Duo is the Google version of Facetime, and it’s also available for free in the Apple ecosystem so not too much reason to not get it even if you’re not on Android other than that you might not want to install another app. It’s currently not as robust at tracking you around a room as Facebook’s Portal is, but it’s also not Facebook, so chances are pretty decent they’re going to work pretty well to keep the thing secure. Kiddos can also play with all the Disney enabled stuff and play videos off of YouTube just by asking, however we haven’t taught them this ability exists yet. Eh, that’s about all I’ve got at the moment. Kidding has been not a winning battle these past few weeks and I’ve reached the point at which I think I have no advise left to give other than product reviews.